There are complex and real links between water and conflict. While water resources have rarely been the sole source of violent conflict or war, there is a long history of tensions and violence over access to water resources, attacks on water systems, and the use of water systems as weapons during war. 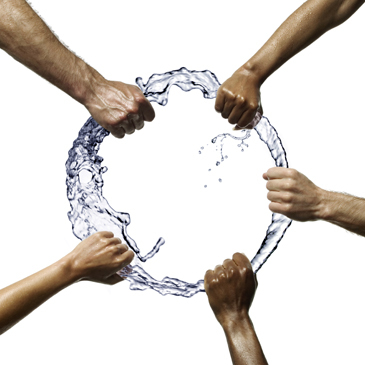 The Pacific Institute’s work on water and conflict helps opposing factions find common ground and reduce conflict over resources. Our work in this area has brought together disputing parties in Georgia, Armenia, and Azerbaijan, Central America, and the Middle East to explore ways of moving toward cooperation over water. In joint projects with Oregon State University, the Institute has also brought arms control experts together with international water negotiators to explore tools and techniques for reaching agreements. We have also worked with military, intelligence, and diplomatic communities to help them understand the risks, and how to reduce the risks, of violence over water resources. In an ongoing effort to understand the connections between water resources, water systems, and international security and conflict, the Pacific Institute has coordinated a project for over twenty years to track and categorize events related to water and conflict. We produce and maintain the Water and Conflict Chronology, which traces the history of water as a tool of war and conflict going back 5,000 years. It presents these data three ways: a timeline showing when conflicts over water occurred, an interactive map showing the location of these conflicts, and a detailed list that can be filtered by region, conflict type, and date. To aid those studying the role of water in conflict, the Institute also maintains an on-line, searchable bibliography on water and conflict.